Due to its strategic location (both local and regional), you have the chance of doing a great many activities according to your liking such as gastronomy, festivals, pilgrimages, art, history, hiking trails, sports, archaeology, natural parks, museums. Undoubtedly one of the most representative valleys of Cantabria is the Saja valley, characterised by its incalculable ecological value. The wide range of natural, ethnographic, architectural, gastronomic and cultural aspects of our municipality is bound to surprise you pleasantly. What are you waiting for to discover it? Eating in Cabuérniga is a culinary experience in itself, as there are many recipes and high-quality products in the area. Its restaurants and bars are perfect for choosing a la carte dishes. Undoubtedly, one of the most representative valleys of Cantabria is the Saja valley, characterised by its incalculable ecological value. It houses the Oyambre Natural Park and the Saja National Reserve, with large extensions of oak, beech and birch groves. The coastal strip is located a few minutes away, where the seaside village like San Vicente de la Barquera stands out for its beauty and charm. 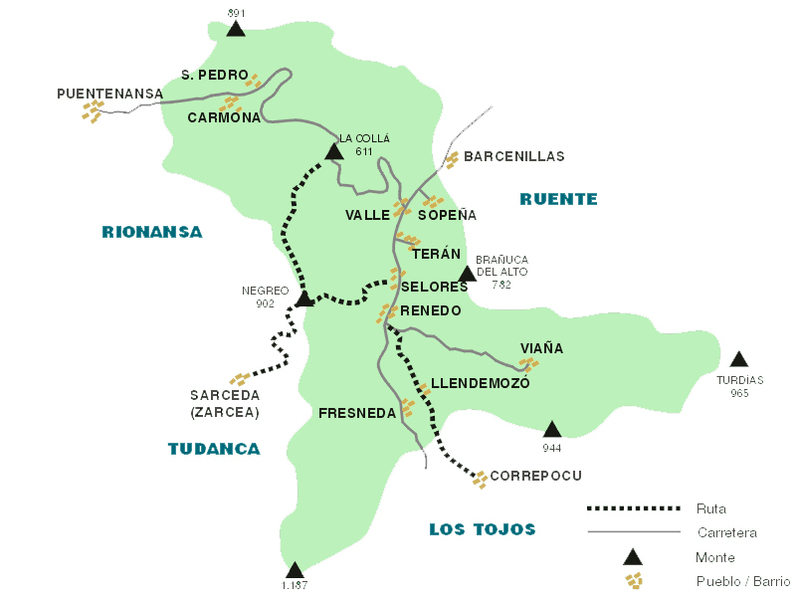 The upper middle course is occupied by the municipalities of Los Tojos, Cabuérniga and Ruente, as well as the Mancomunidad Campoo-Cabuérniga, which is generically called the Cabuérniga valley, following the direction South to North, with some lateral valleys of East to West orientation, in the branches of the Rivers Argoza, that passes by the town of Bárcena Mayor (Historic-Artistic Set), the River Viaña, River Lamiña and we would also include the basin of the Bayones river that descends from the mounts of Ucieda. 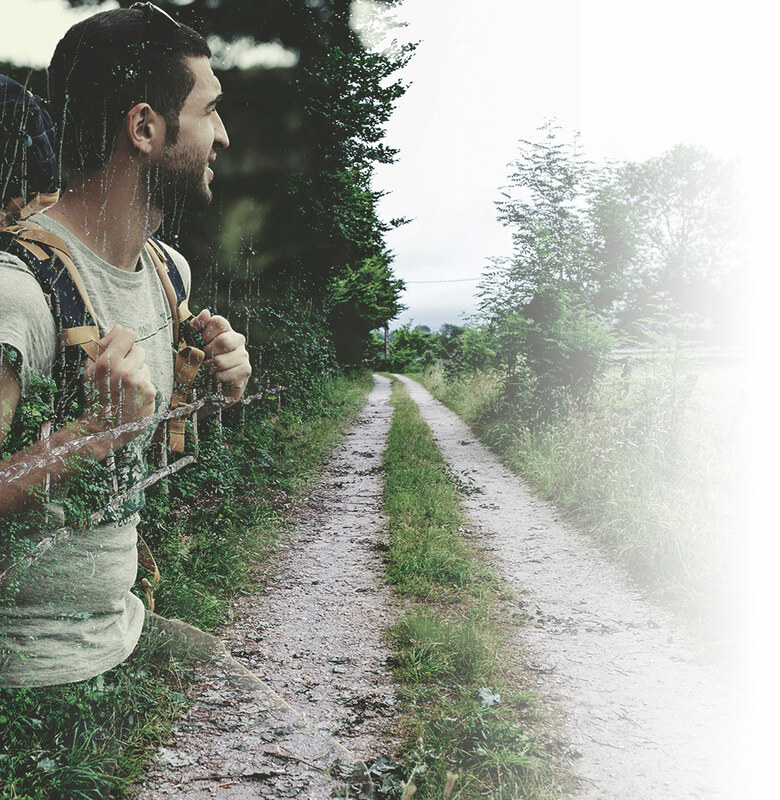 Sport, nature, photography, rest, gastronomy… what more could you want? Cantabria is a region with virtually untouched and undiscovered mountain villages and places of extraordinary beauty. This page contains information about some of the routes through the Cantabria mountains that we have travelled on a mountain bike. These routes are perfect for admiring the beauty of these places and making you fall in love with the region. The routes are generally not technically difficult for people accustomed to cycling, as they are almost wholly passable by bicycle, mostly, mountain trails, although there are also some trails and even cross-country sections, and some local road sections too. The routes always begin and end in the same place, which means that you can reach them by car and take your bikes with you. You can see 3D projections of the routes on satellite photos of Google Earth. In addition to the route seen on Google Earth format, GPS files may also be downloaded to a GPS receiver, which includes maps of the way, the profile, and photographs of the area. The maps of the routes can be seen on the satellite maps using Google Maps.